The Microline chains are a great way to roll with your S-Gear pendants. This is anchor link version works great with the smaller pendants or alone. 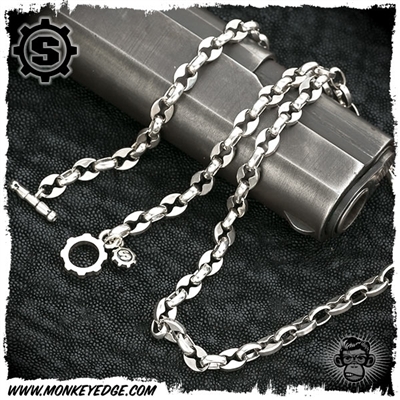 Longer chain at 20 total inches of hand soldered links with gear and T- Bar clasp. 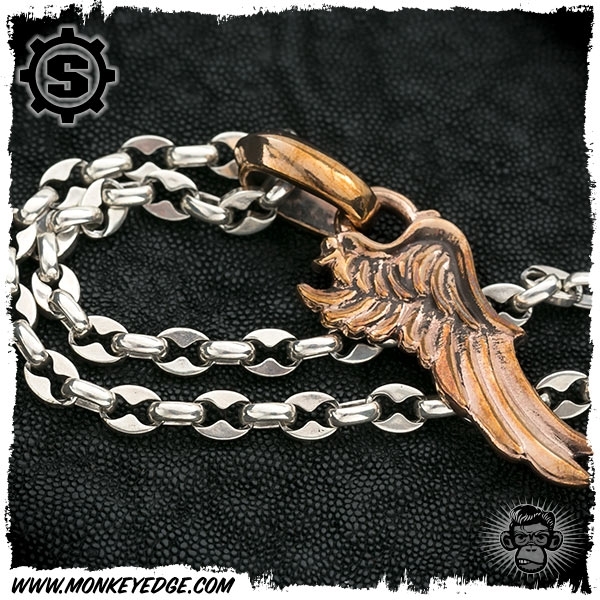 Sterling silver, hand crafted in USA. Brand new from S Gear including embroidered pouch, authenticity certificate card, and metal warranty card. Just so you know: the pendants are NOT included and are shown for display only.